Understanding that each child's special educational needs are different, the app's developers have made it very configurable. The activities can be advanced automatically or with a button press. Sounds are not either all on or all off but can be selected individually for whether they are used or not. Each activity can be tweaked to offer just the right experience or challenge. The colour of text and its background are selectable from three preset options to assist those whom this can help with decoding text. Parents will know which of these settings will be most useful for their own children but should any later adjustments be needed the options are easy to find and understand. 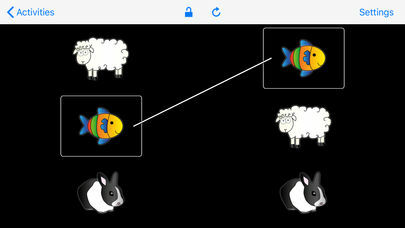 If multiple children will use the same app, in a classroom, for example, a reset option puts all of the options back to the default in a single push. 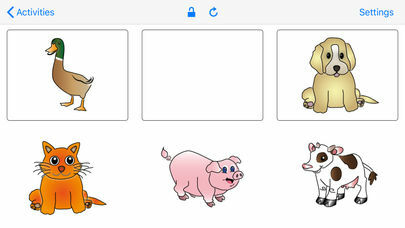 The results of any personalisation will be welcomed by children who might find the app unusable in other configurations. Another principle that the app's design follows is to be clear and uncluttered. This clean and tidy look is achieved without appearing spartan. The key elements in each activity are colourful and interesting enough that any superfluous detailing is not missed. 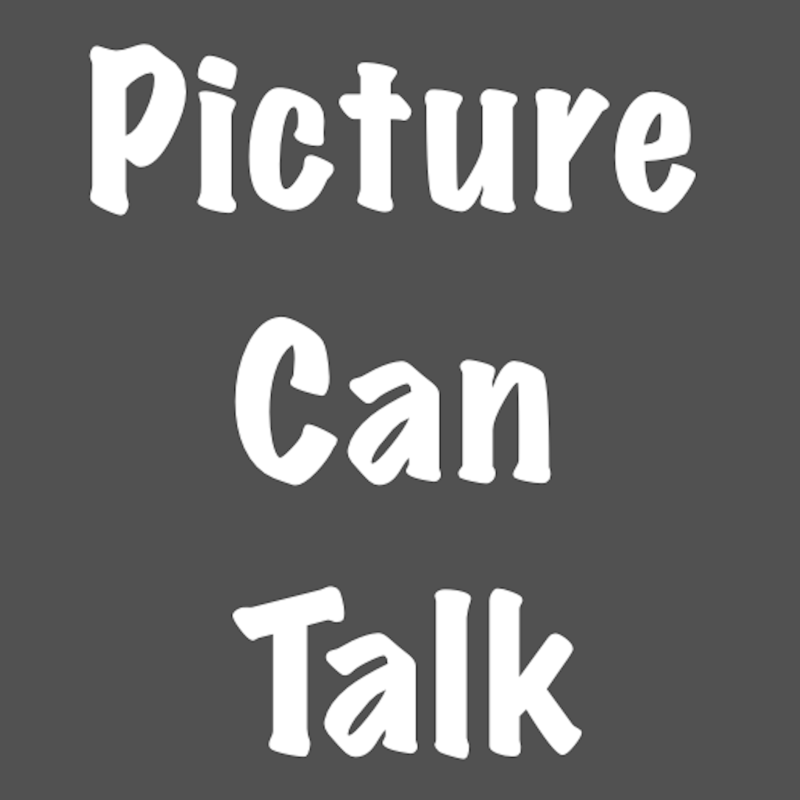 Each picture has clear and friendly sounding speech associated with it and sound effects can be used to feed back the results of player actions. The activities themselves do not punish mistakes and do not place the player under time pressures. Simply tapping on the large interactive elements makes selections and the aim will become clear with a little experimentation or support. Children will be asked to attempt to match pictures, find pairs, duplicate a given order of cards, identify missing objects, and remember the locations of pictures now hidden. They are simple activities to an adult but practising them will help to form the building blocks upon which children can progress further. Children can easily play alone with each activity to develop their memory and to practise matching and sequencing skills. If an adult shares the activity with their child they will be able to use it as a talking point to encourage the development of skills as well as share in a bit of fun. The thoughtfulness of the design of this app is visible within its every aspect. It works hand-in-hand with the educationally useful activities to ensure that children with special needs can also use apps to further their learning. 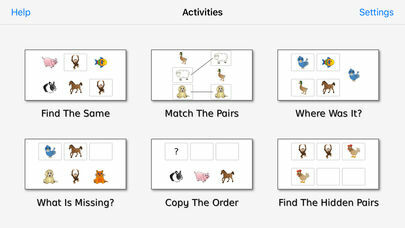 Match & Find is designed to help develop young children’s memory, matching, searching and sequencing skills. 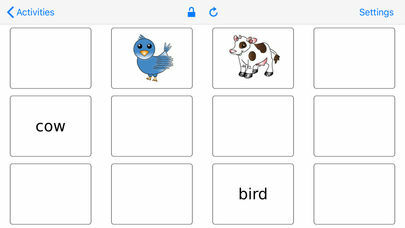 Working memory is very important for the development of language and numeracy, and the carefully designed activities in this app can help children train and improve their auditory and visual working memory. 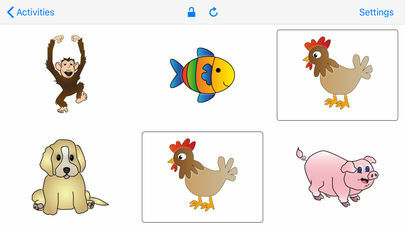 “The clear graphics which we have come to expect from Special iApps and the option to increase the number of pictures or words to extend the challenge, makes this a very flexible app.” – Hilary, computer specialist at The Champion Centre in New Zealand. “A very complete application with multiple options that's already part of our essential kit.” – Lupe, specialist in ASD and educational technology. “Lucy, my daughter, took to this app quickly. I saw her improve after just one session. She now uses the app daily for between 15 to 20 minutes and continues to make good progress.” - Diane, parent. This version supports English (both UK and US), Catalan, French, German, Norwegian, Polish and Spanish. We plan to add additional languages in future updates.